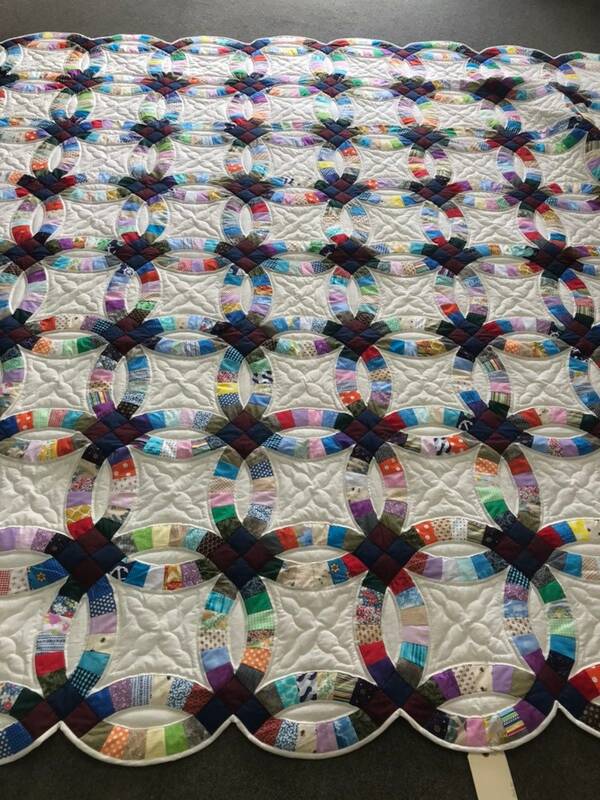 This new handmade Double Wedding Ring Quilt is 108 x 108. 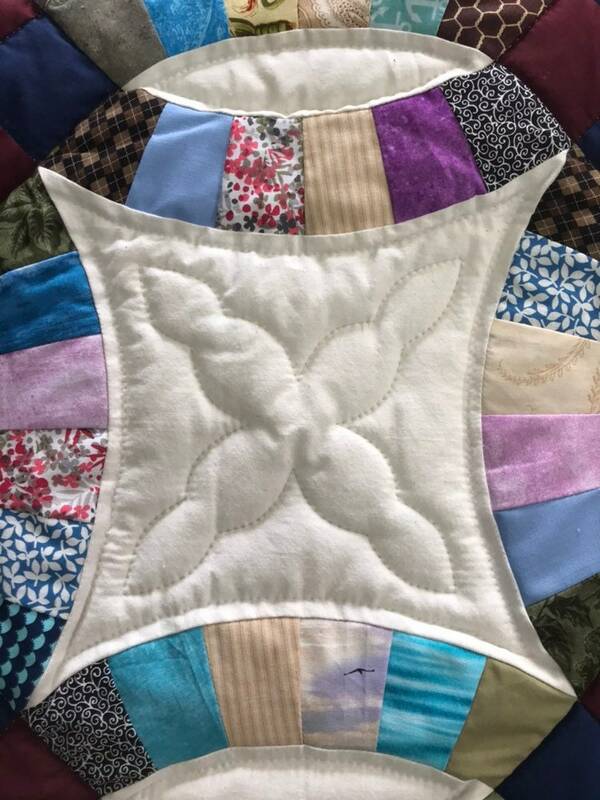 It has been hand quilted with bright and lovely colors and features an off-white backing. 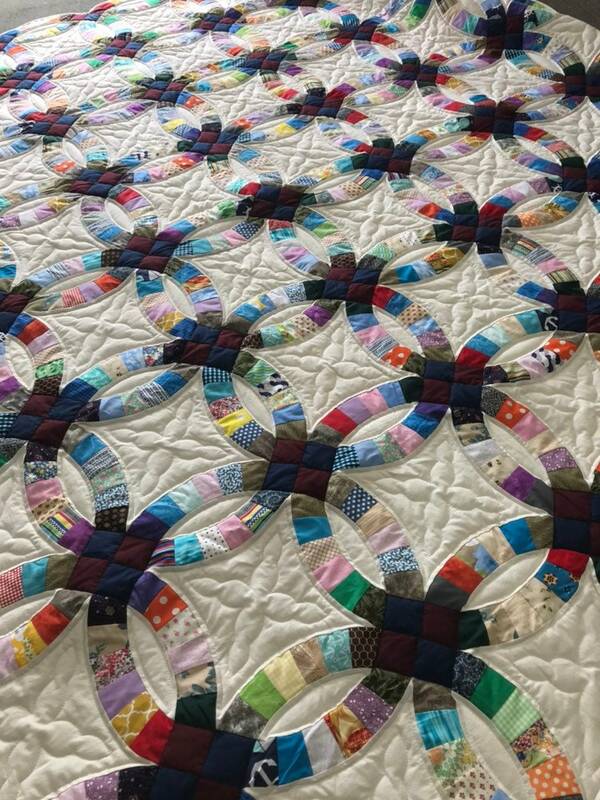 This quilt is handmade by Amish Quilters. 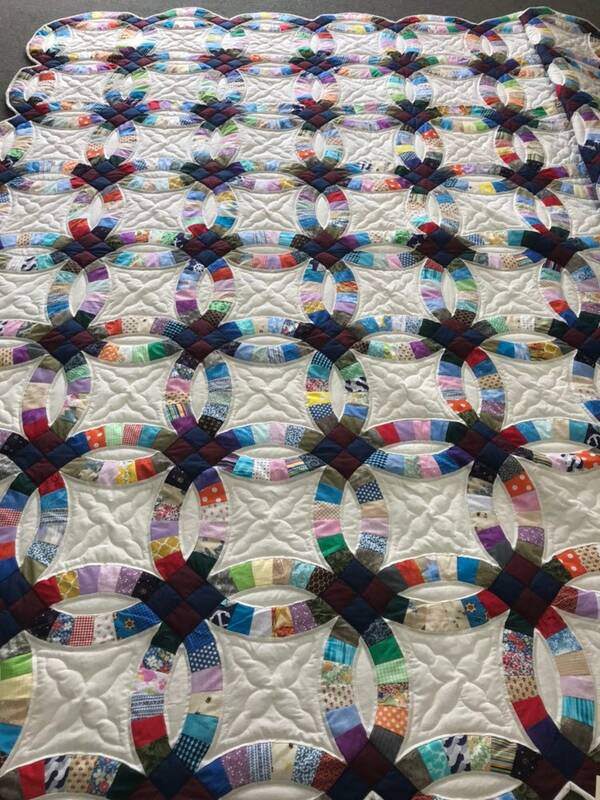 The Double Wedding Ring is a great Heirloom Quality Quilt that you could pass down generation after generation. It has a lovely farmhouse style and would make a great gift for a wedding or family. This could fit a Queen or a King, however, we suggest you measure how far you want your Quilt to hang off your bed. Everyone varies with how large they want their Quilt. 100% Cotton Machine Washable. Care instructions are included. 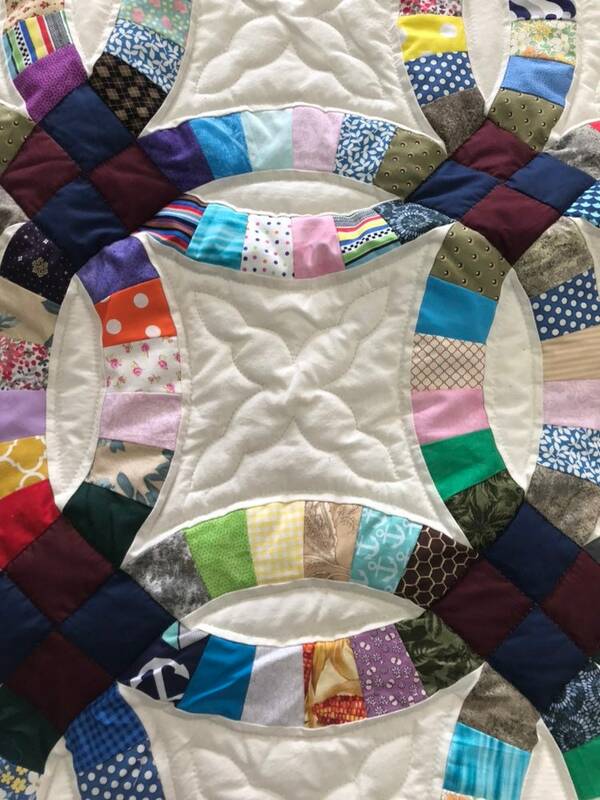 Alma Sue's Shop offers free repairs for the life of your quilt purchased through us. Domestic Shipping-We ship and insure all of our quilts via Fed Ex. International Shipping-We ship and insure all of our quilts via USPS International. 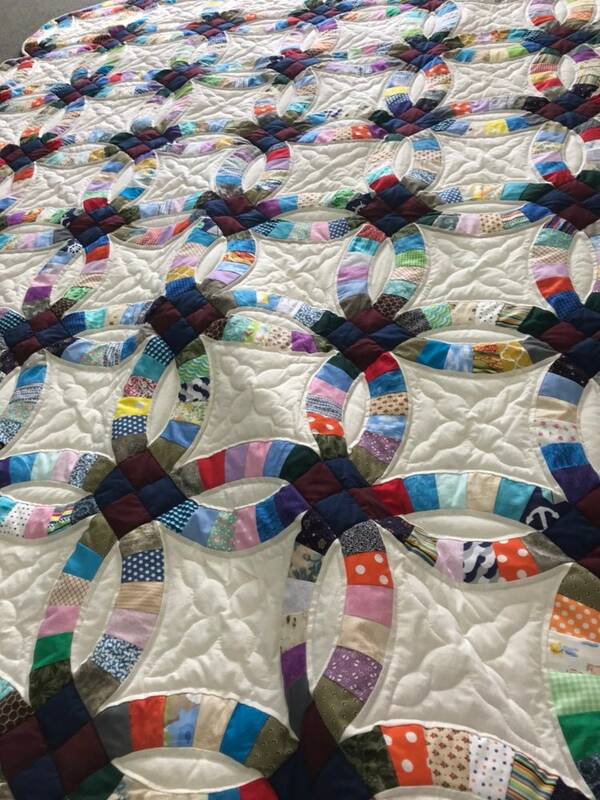 The Double Wedding Ring Quilt is by far one of our top selling Quilts at Alma Sue's Shop. 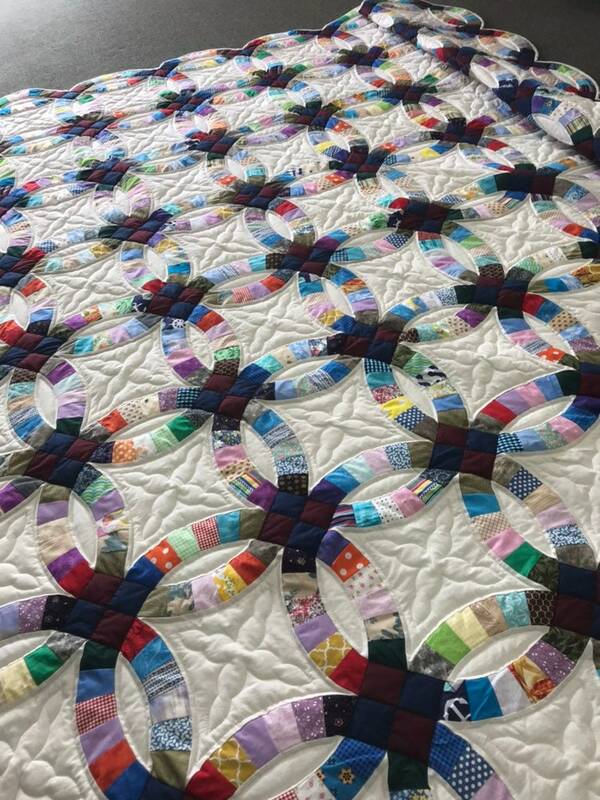 What is so special about these Quilts? 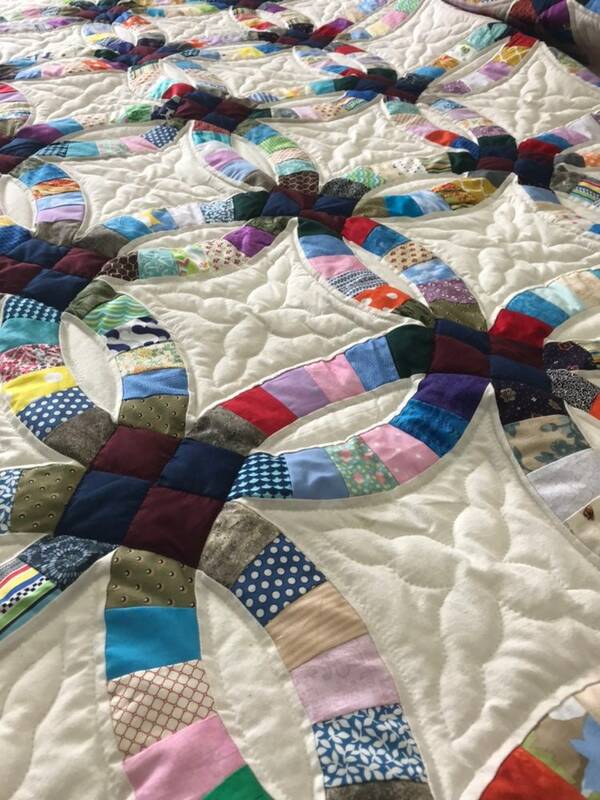 The history of this Quilt dates back hundreds of years! The double wedding ring design has a rich historical tradition dating back as far as the 15th century. It is reminiscent of the “Gimmal ring,” a popular engagement ring in which the betrothed couple each wore one ring during their engagement, and then the rings were interlocked during the wedding ceremony and worn by the wife. The pattern was first published in the United States in the early 1920s, the quilt pattern can be found as early as the late 19th Century. 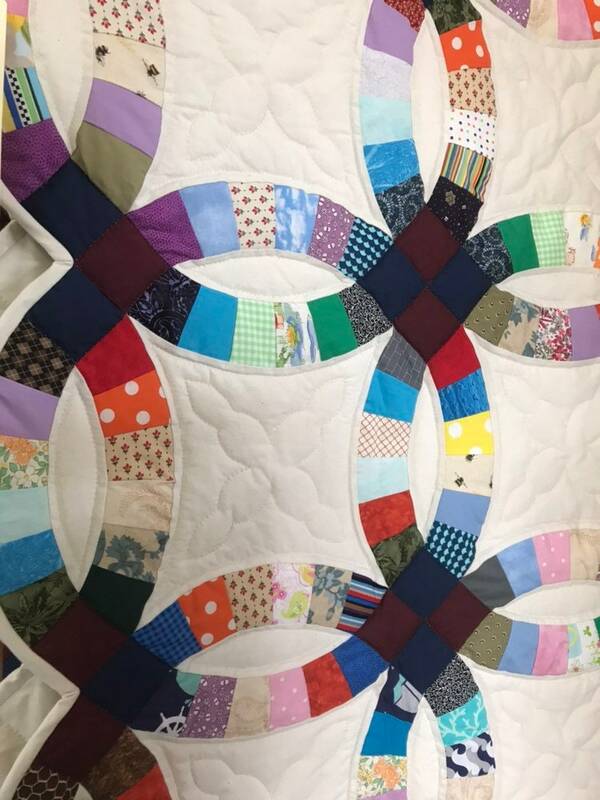 The Double Wedding Ring quilt pattern has long been a symbol of love and romance with its interlocking rings symbolizing marriage. 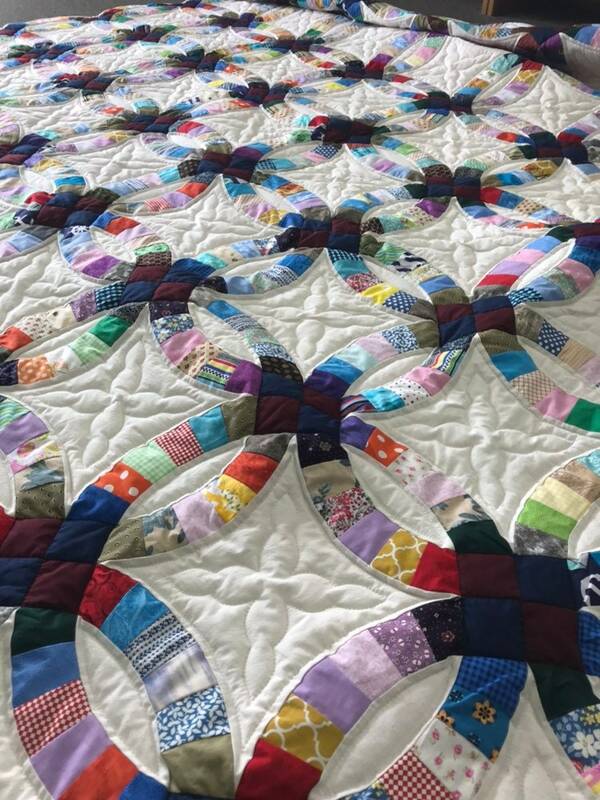 The quilt was traditionally made by mothers and grandmothers for their children and given as gifts on their wedding day or anniversaries. The pattern was very popular during the Depression era, as it could be created using scraps of fabric from unused bedding or other projects. The same method can be used for your modern version if you’re looking to pair down the amount of scraps in your workplace or want to keep the pattern less formal than the more traditional color scheme.Regardless of the fabric it was made of, old American folklore suggests that a marriage was blessed if the couple spent their first night together under a Double Wedding Ring quilt, signifying its importance as a traditional wedding gift. It’s doubtful that you’d catch any children playing on such a quilt during this time, due to its importance.